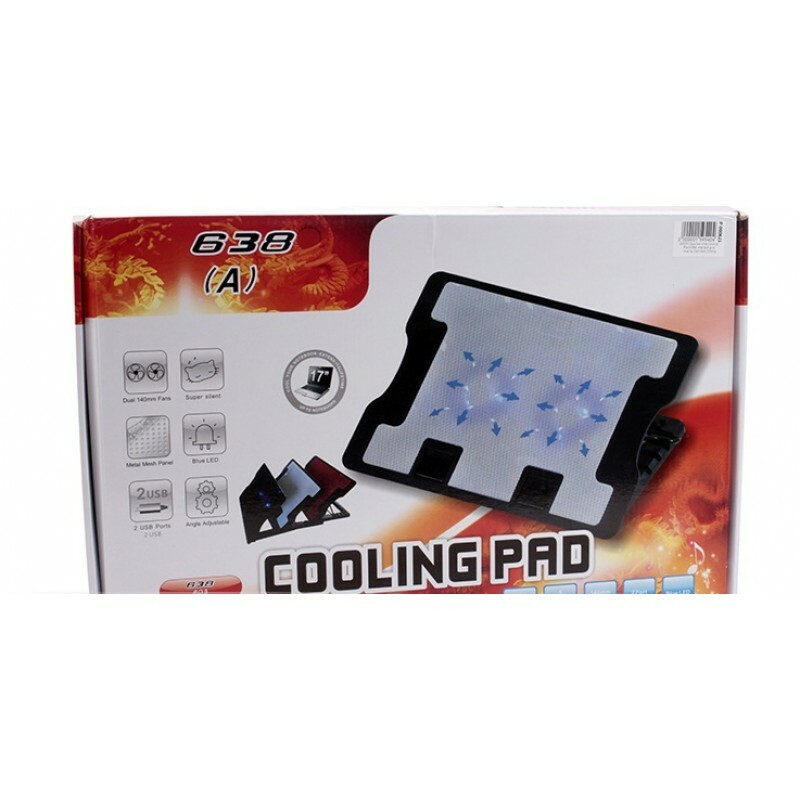 Adjustable-Notebook-Cooling-Pad-638--with-2-Fans Dual Fans high-speed Adjustable Cooling Pad Buy Online ClicknGet Adjustable Notebook Cooling Pad 638 with 2 Fans in Karachi, Lahore, Islamabad All Across Pakistan with Our Best Price Buy Online with Free Cash On delivery | ClicknGet Product #: 74 4.4 stars, based on 89 reviews Regular price: Rs 1250 Rs1250 (Sale ends 5 November! ) Available from: Clicknget Condition: New In stock! Order now! 14 cm 2 fans , Large Massive air flow, silent. Two ports USB hub 3: Five Angle support,Ergonomic Design.